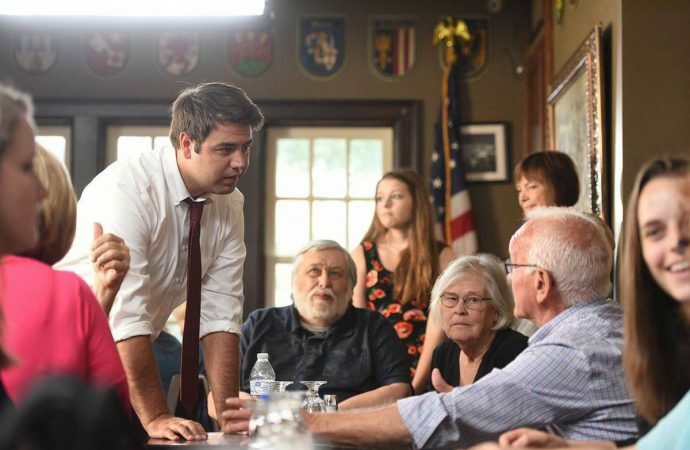 Democrat Danny O’Connor and Republican Troy Balderson will go head-to-head in a special Congressional election in Ohio’s 12th district today. Democrat Danny O’Connor and Republican Troy Balderson will go head-to-head in a special Congressional election in Ohio’s 12th district today. Following the resignation of Republican Representative Pat Tiberi in January, this election determines the district’s representative for the remainder of the year. A win by O’Connor will spur the “Blue Wave”—the Democratic Party’s attempt to reclaim the House of Representatives in 2018 midterms. If the Democrats win then, it will serve as either a bellwether for the momentum of the Blue Wave, reflecting an overarching mood towards the Trump administration. Ohio’s 12th District has been exclusively Republican since the 1980s. Centrist Democrat Danny O’Connor is betting on a more conservative policy mix to seize the win. As it stands, Balderson leads with 44% of the vote, and O’Connor holds 43%.